The Ministry of Justice (MJUS) is the department of the Government of Spain responsible for preparing and carrying out the government policy in order to bring the legal system off, specially in criminal, civil, commercial and procedural law affairs, supporting the Administration of Justice, the legal and international cooperation, guaranting the fundamental right of freedom of worship and the matters related with the Historical Memory Act. Likewise, it is responsible for processing the documents relative to grace right, titles of nobility and Grandees which resolution is given by the King and is carried out by the Council of Ministers, giving legal attendance to the State administrations and it is the communication channel of the Government with the Administration of Justice, with the General Council of the Judiciary and with the Prosecution Ministry, through the Attorney General, as well as with the governing bodies of the autonomous communities with judicial responsabilities, the Spanish Data Protection Agency and the associations of legal experts. The MJUS is headed by the Minister of Justice, who is appointed by the King of Spain at request of the Prime Minister, after hearing the Council of Ministers. The Minister is assisted by three main officials, the Secretary of State for Justice, the Under Secretary of Justice and the Secretary General for the Administration of Justice. The Solicitor General depends from the Minister. The present incumbent is Mrs. Dolores Delgado, an expert prosecutor in jihadist terrorism. The ministry has its headquarters in the Palace of the Marchioness of Sonora, Madrid. The administration of justice was a real prerogative and would continue being it until the 19th century, with the firsts constitutions. However, the monarchs already delegate its judicial powers on civil servants in charge of administering justice but the first time that a kind-of goverment department was created for judicial affairs was in 1705. That year, King Philip V split the Secretariat of the Universal Dispatch into two secretariats, one for War and Treasury and other «for everything else», which primarly included justice and religion affairs. However, the true germ of the ministry is found in the Royal Decree of 30 November 1714, which, similar to the French model, divided matters by subject, creating four Secretariats of the Dispatch, among which was the Secretariat of State and of the Dispatch of Ecclesiastical Affairs, Justice and Jurisdiction, in charge of religious affairs, maintenance of royalties from the Crown, the regime of universities, and justice and jurisdiction of Councils and courts, especially in appointments. This secretariat was assumed by Manuel Vadillo Velasco who previously assumed the «Secretariat of the Dispatch for everything else». This Secretariat of State and of the Dispatch of Ecclesiastical Affairs, Justice and Jurisdiction is renamed Secretariat of the Dispatch of Justice, Political Government and Treasury of Spain and the Indies on 2 April 1717, since it assumes the powers of the Treasury after the General Supervision had been eliminated and after being merged most of the Secretariats of the Dispatch, preserving just three of them. However, this situation will last a short time because in December 1720 the Treasury business regained autonomy, splitting from the Ministry of Justice. The great reforms carried out by Ferdinand VI in 1754-1755 established the definitive classification of the Secretariats of the Dispatch and their powers. Thus, between 15 May 1754 and 14 May 1755, by a series of Royal Decrees, the Secretariats of the Dispatch become five (the Treasury one is re-created), and they are endowed with a permanent organization. In the case of the Secretariat of Ecclesiastical Affairs, Justice and Jurisdiction, by the Decree of 16 August 1754, it changes its name to «Secretariat of State and of the Dispatch of Grace and Justice». The subsequent reform of the year 1787 gives rise to a greater division of the Secretariats, as a solution to the accumulation of affairs and businesses from the Indies. As for the functions of this Secretariat of the Dispatch of Grace and Justice, it corresponded to it the matters previously dealt with by the Chamber of Castile and the Royal Council, basically those relating to royal patronage, ecclesiastical jurisdiction, and the organization and operation of the Courts of Justice. Thus, it was attributed to this Secretariat everything to the appointments of archbishops, bishops, ecclesiastical dignities, perks, trades and chaplaincies; the government of courts and chancery, the appointment of its presidents, governors and ministers, and the resources of justice; the provision of the corregimientos not destined to war and property; the conservation of royalties of the Crown, as well as the dispatch of what is convenient to the royal houses and the provision of their jobs and the care of the observance of laws and pragmatics. In 1787, the pre-existing Secretariat of the Navy and the Indies is divided into three, with the names of: Navy, Grace and Justice of the Indies, and War, Treasury, Commerce and Navigation of the Indies, bringing the judicial affairs of the Indies to this moment assumed by the Indies Secretariat to a new the Secretariat of Grace and Justice of the Indies. However, this reform did not end the problems it had tried to remedy, so by Royal Decree of 25 April 1790, the classic division into five Secretaries of State and of the Dispatch was re-established: «State», «War», «Navy», «Treasury» and «Grace and Justice», each of which assumed the corresponding matters to the Indies. This division of the different branches of the Administration will be maintained until the Cortes of Cádiz, which will introduce other reforms. In 1812, the name «Secretariat of the Dispatch of Grace and Justice» was changed to «Ministry of Grace and Justice». But in fact, already the Statute of Bayonne of 1808 and the Constitution of 1837 used the term «minister» to refer to the secretaries of the Dispatch, since both terms were used as synonyms until the Royal Decree of 20 September 1851 changed the name of the the Secretariat of State and of the Dispatch of Public Works to Ministry of Development, making official the denomination of «ministries» for the former Secretariats of the Dispatch and, consequently, it is definitively called Ministry of Grace and Justice. Since then, the Ministry of Justice has hardly changed (except for those of internal organization) and the most significant changes were in the Second Republic, specifically on 14 April 1931, when it was renamed «Ministry of Justice» and the period from 25 September 1935 to 19 February 1936, in which the name of the department was «Ministry of Labor, Health and Justice». Already in democracy, the most significant change was between May 1994 and May 1996, when it merged with the Ministry of the Interior, giving rise to the Ministry of Justice and the Interior. The Secretariat of State for Justice. The General Secretariat for the Administration of Justice. The Directorate-General for Relations with the Administration of Justice. The Directorate-General for Modernization of Justice, Technological Development and Recovery and Asset Management. The Directorate-General for Internation Legal Cooperation, Relations with Religions and Human Rights. The Directorate-General for Historical Memory. The Directorate-General for the Registries and Notaries. The Deputy Directorate-General for Human Resources. The Deputy Directorate-General for Hiring, Services and Administrative Office. The Deputy Directorate-General for Building and Heritage. The Deputy Directorate-General for Administrative Information and General Inspection of Services. The Division for Information and Communications Technologies. Division for the Right of Grace and other Rights. The Solicitor General of Spain. The Cabinet of the Solicitor General. The Deputy Directorate-General for Advisory Services. The Deputy Directorate-General for Contentious Services. The Deputy Directorate-General for European Union and International Affairs. The Deputy Directorate-General for Coordination, Audit and Knowledge Management. The Deputy Directorate-General for Constitutional and Human Rights. The Offices of the Solicitor General at the Courts and Administrations. First Notary of the Kingdom, in Spanish Notario Mayor del Reino is the title held by the Minister of Justice as the person in charge of giving faith of the big events of the country like taking oath of high-ranking officials of the Kingdom. Among its most important tasks is the record of the swearing and promises of the King or Queen, the Prime Minister, the Ministers and the Secretaries of State. Likewise, the First Notary of the Kingdom also intervenes in the civil acts of the Spanish royal family, raising the records of the births, marriages and deaths of their individuals, and authorizing their marital capitulations, powers, assignments and other provisions and contracts. Said protocols and other papers of the civil acts that concern the royal family are kept in the dependencies of the Directorate-General of Registries and Notaries. The title is exercised ex officio, from its appointment until its cessation as Minister of Justice. This position does not confer any notarial authority nor does it have any relationship with the General Council of the Notariat (the nationwide organization who represents the notaries), whose highest authority is the President of the General. In case of the absence of the minister himself and as public notary, the Director-General of the Registries and the Notary, who is the secretary of the First Notary's Office, acts as the Acting First Notary of the Kingdom. 27 February 1812 27 June 1813 Pablo Arribas(1) Interim. 19 January 1811 12 August 1811 José Antonio Larrumbide Urquidizar (3) Interim. 12 August 1811 23 June 1812 Ignacio Pezuela (3) Interim. 27 January 1816 29 February 1816 Pedro Cevallos Guerra (3) Interim. 29 February 1816 29 January 1817 José García de León y Pizarro (3) Interim. 17 June 1842 9 May 1843 Miguel Antonio de Zumalacarregui (1) Interim. 21 June 1865 10 July 1866 Fernando Calderón Collantes (1) Interim. 29 November 1933 16 December 1933 Domingo Barnés Salinas Indep. 17 April 1934 28 April 1934 Salvador de Madariaga Rojo Indep. If the Minister has no number, their title was Minister of Justice. ^ a b c "Royal Decree 1044/2018, of August 24, by which the basic organic structure of the Ministry of Justice is developed". www.boe.es. Retrieved 17 April 2019. ^ Escudero, José Antonio (1979). Los orígenes del Consejo de Ministros en España. pp. 31–42. ISBN 9788474915945. ^ Hamer Flores, Adolfo (2013). El secretario del despacho Don Antonio de Ubilla y Medina. Su vida y obra (1643-1726). Córdoba: Servicio de Publicaciones de la Universidad de Córdoba. pp. 345–348. ^ López-Cordón, María Victoria; Nieto Soria, José Manuel (2008). Gobernar en tiempos de crisis: las quiebras dinásticas en el ámbito hispánico, 1250-1808. Silex Ediciones. pp. 113–116. ISBN 9788477372158. ^ "Manuel Vadillo Velasco | Real Academia de la Historia". dbe.rah.es. Retrieved 18 April 2019. ^ a b c "Corporate Body - Secretaría de Estado y del Despacho de Gracia y Justicia (España)". PARES. Retrieved 18 April 2019. ^ "Corporate Body - Secretaría de Estado y del Despacho de Gracia y Justicia de Indias (España)". PARES. Retrieved 18 April 2019. ^ "Royal Decree 907/1994, of May 5, on the restructuring of ministerial departments". www.boe.es. Retrieved 18 April 2019. The Council of Ministers is the main collective decision-making body of the Government of Spain, composed of the Prime Minister and 17 ministers. According to the Constitution, junior ministers like the Secretaries of State could be part of the Council if the Government Act included them, a constitutional provision that until today has not been used. The Monarch may also chair the Council when needed on the invitation of the Prime Minister. The Ministry of Foreign Affairs, European Union and Cooperation (MAEUEC) is a department of the Government of Spain in charge of planning, managing, carrying out and evaluating the country's foreign policy and the international cooperation for development policy, paying special attention to the ones in relation to the European Union and Ibero-America as well as coordinating and supervising all actions done in this areas by the other Ministries and Public Administrations. Likewise, is is responsible for promoting international economic, cultural and scientific relationships, taking part in suggesting and carrying out the migration policy, promoting cross-border and interterritorial cooperation, protecting Spaniards abroad and preparing, negotiating and processing the international treaties which Spain is part of. The Ministry of Development (MIFOM) is the department of the Government of Spain responsible for preparing and implementing the government policy on land, air and maritime transport infrastructure and the control, planning and regulation of the transport services on this areas. It is also responsible for guaranteeing access to housing; urban, soil and architecture policies; planning and controlling the postal and telegraph services, directing the services related to astronomy, geodesy, geophysics and mapping, and planning and programing the government investments on infrastructure and services related to this scope. The Ministry is headquarters are in the New Ministries government complex. 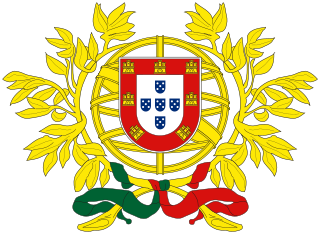 The Ministry of Justice is the Portuguese government ministry responsible for the administration of the judiciary system. It is headed by the Minister of Justice. 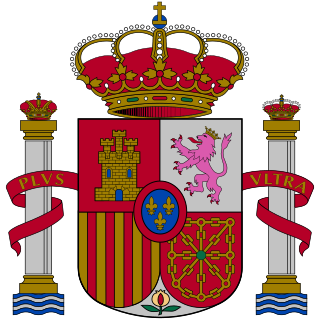 The Ministry of the Interior (MIR) is a department of the Government of Spain responsible for public security, the protection of the constitutional rights, the command of the law enforcement agencies, national security, immigration affairs, prisons, civil defense and road traffic safety. Through the Undersecretariat of the Interior and its superior body, the Directorate-General for Internal Policy, the Ministry is responsible for all actions related to ensuring political pluralism and the proper functioning of electoral processes. 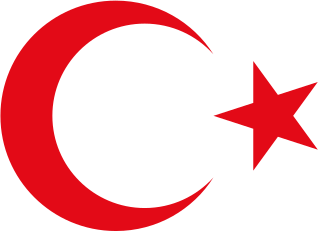 The most influential part of the executive of the Turkish government are the ministries. The Ministry of Health, Consumer Affairs and Social Welfare (MSCBS) is the department of the Government of Spain responsible for proposing and executing the government policy on health, planning and providing healthcare and protecting consumers. Likewise, it is responsible for proposing and executing the government policy on social cohesion and inclusion, family, protection of minors, youth and of care for dependent or disabled persons. The Ministry is headquartered in the Paseo del Prado in Madrid, opposite the Prado Museum. 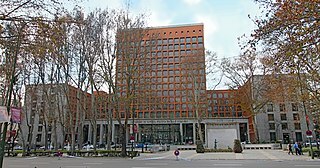 The Ministry of Labour, Migrations and Social Security (MITRAMISS) is the department of the Government of Spain responsible for planning and carrying out the government policy on labour relations, employment and Social Security, as well as the developing the government policy on foreigners, immigration and emigration. The Ministry of Agriculture, Fisheries and Food also known as MAPAMA is a ministerial department of the Government of Spain. Its headquarters is in the Ministry of Agriculture Building, an emblematic nineteenth-century edifice located in Madrid, Spain. The Ministry for Territorial Administrations, currently known as Ministry of Territorial Policy and Civil Service (MPTFP), is the department of the Government of Spain which manages the policies of the government regarding relations and cooperation with the Autonomous Communities and with the entities that integrate the Local Administration and those related to the territorial organization of the country and with the Government Delegations and Sub-Delegations in the regions and provinces. pThe Ministry of the Treasury (MH) is the department of the Government of Spain responsible responsible for planning and carrying out the government policy on public finance and budget and it applies and manages the regional and local financing systems and the provision of information on the economic-financial activity of the different Public Administrations. The Ministry of Education and Vocational Training (MEFP) is the department of the Government of Spain responsible for proposing and carrying out the government policy on education and vocational training, including all the teachings of the education system except university education, without prejudice to the competences of the National Sports Council in matters of sports education. Likewise, it is also the responsibility of this Department the promotion of cooperation actions and, in coordination with the Ministry of Foreign Affairs, the promotion of international relations in the field of non-university education. The Solicitor General of the State is a high-ranking official of Spain's Ministry of Justice. The Spanish Solictor General is the person in charge of directing the Legal Service of the Spanish Government and its relationship with all kinds of national or foreign organisms, entities and bodies. As head of the Legal Service is in charge of the representation and defense of the Kingdom of Spain before the courts, organs and international or supranational organisms in which it is a party in any jurisdictional, arbitral or extrajudicial proceedings. Likewise, it is also responsible for advising the Government and the organs of the Administration about issues of legality. The Secretary of State for Justice (SEJUS) is the second-in-command official of the Ministry of Justice of the Government of Spain. The Secretary of State is appointed by the Monarch at the request of the Justice Minister and after hearing the Council of Ministers.